Candles are particularly comforting during the fall and winter. 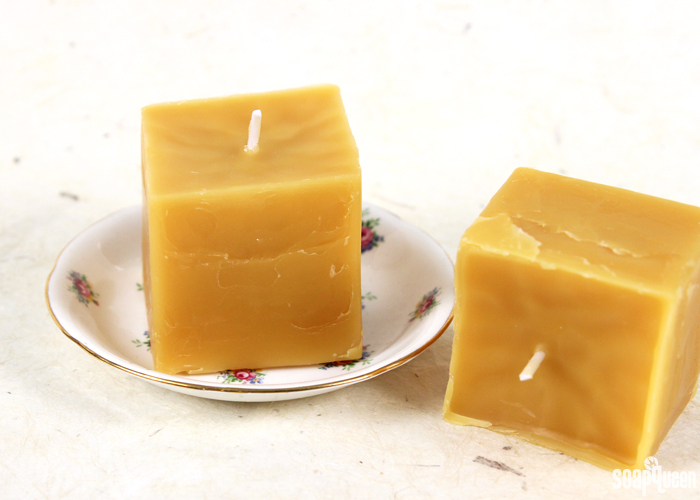 This Bourbon & Beeswax Candle is the perfect addition to your home for autumn and beyond. It’s made with the new Kentucky Bourbon Fragrance Oil, which features notes of spicy clove, leather and oak cask. This candle is made with yellow beeswax, which has its own natural scent. The yellow beeswax and Kentucky Bourbon Fragrance Oil smell amazing together. The end result is a rich, warm and inviting scent. If you prefer the fragrance oil on its own you can use white beeswax, which does not have a strong scent. 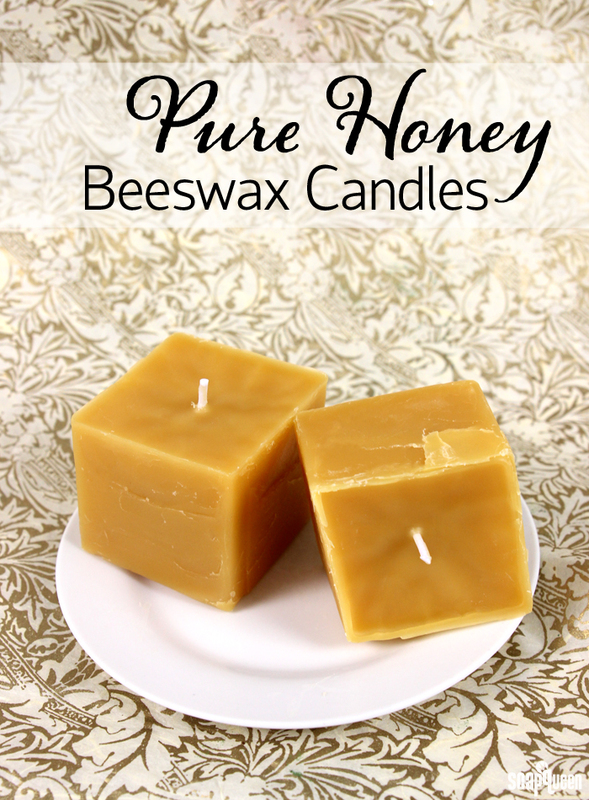 Because beeswax has such a high melting point, you’ll have some extra considerations when working with it. It can be melted in a double boiler or in a microwave. Just make sure your container is suitable for such high heat. 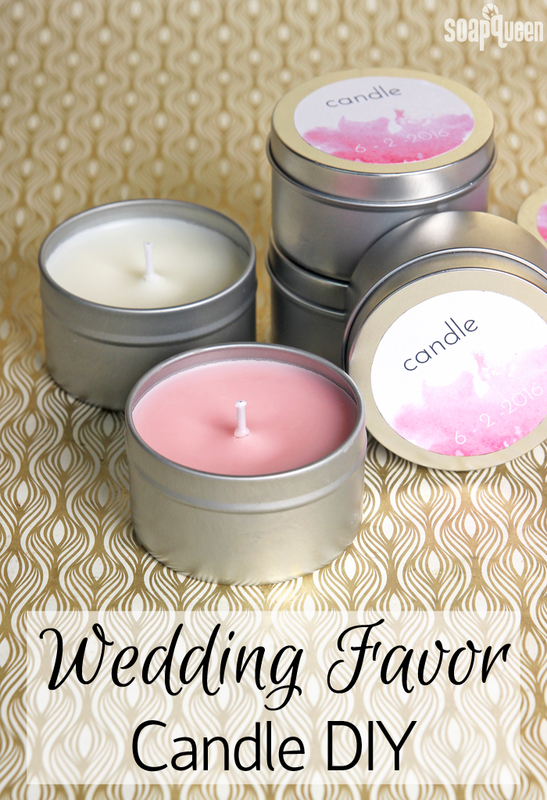 Candles are a great favor option. 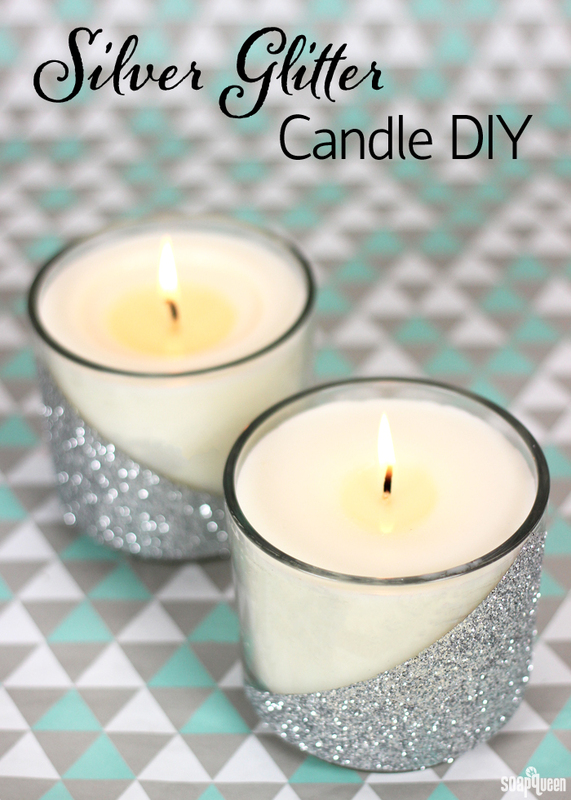 They are relatively quick and easy to make, and who doesn’t love a candle? 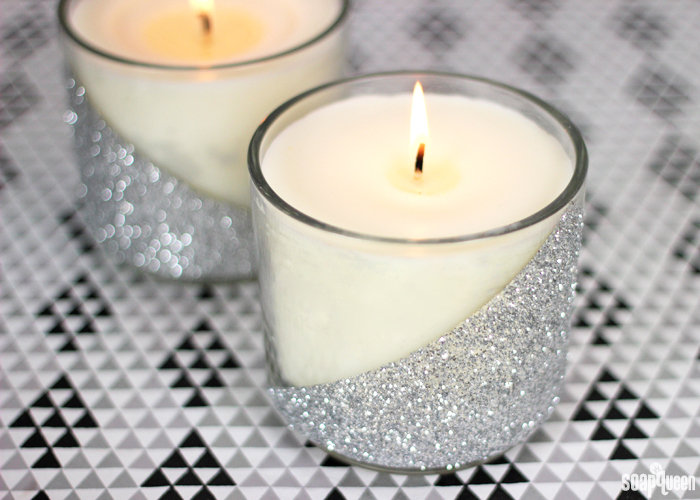 For this tutorial, I made five candles featuring two different color and scent combinations. 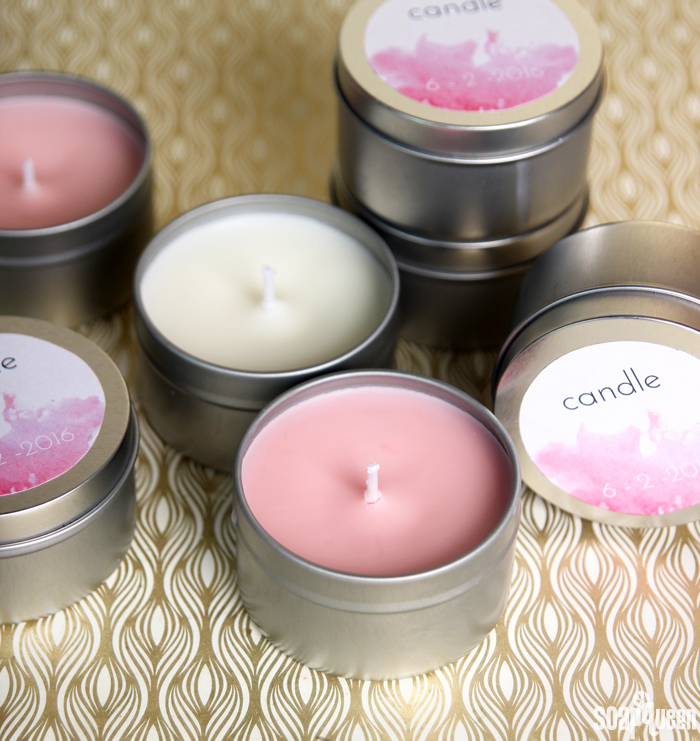 One candle is scented with Sweet Pea Fragrance Oil and colored a light pink for a feminine option. The other is uncolored and scented with Tobacco and Bay Leaf Fragrance Oil. The recipe and tutorial below makes ten candles total. If you need to make a lot more, you may consider melting your wax in a large sauce pot over medium-low heat. This way, you can use a larger container than what may fit in your microwave. 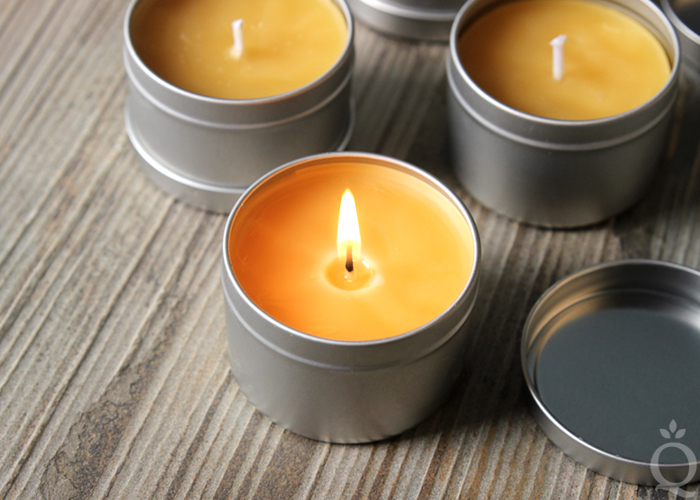 Then, use a ladle or smaller container to pour the hot wax into each candle container to cool and harden. 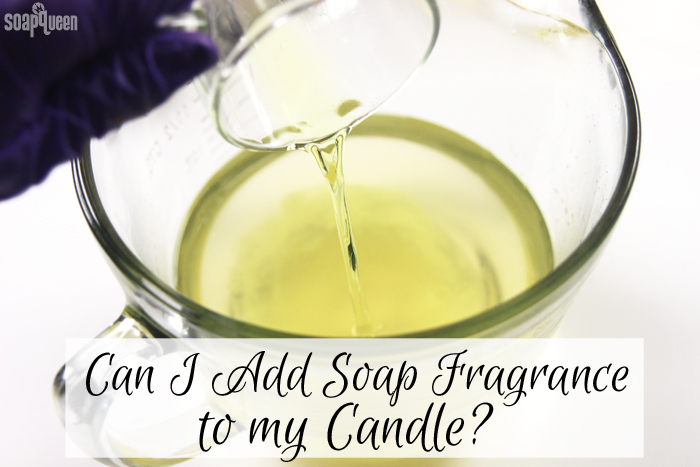 I recommend pouring the wax on a counter space where the candles can cool and harden without moving them. Once the hot wax is in the container, moving the candles can be tricky! 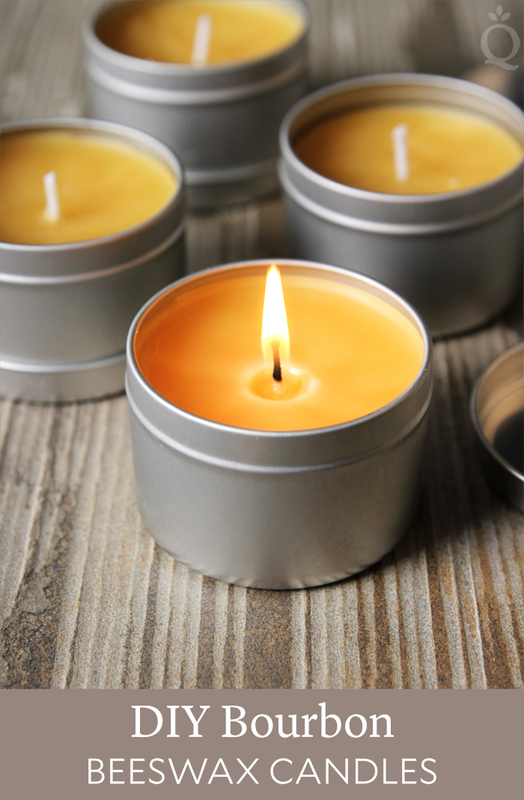 One of the best things about a clean home is a crisp, fresh scent. It’s so nice to walk into a room and smell lavender, lemon and fir. This is especially true in areas where people spend a lot of time, like the living room. Natural ingredients are perfect for freshening a room. 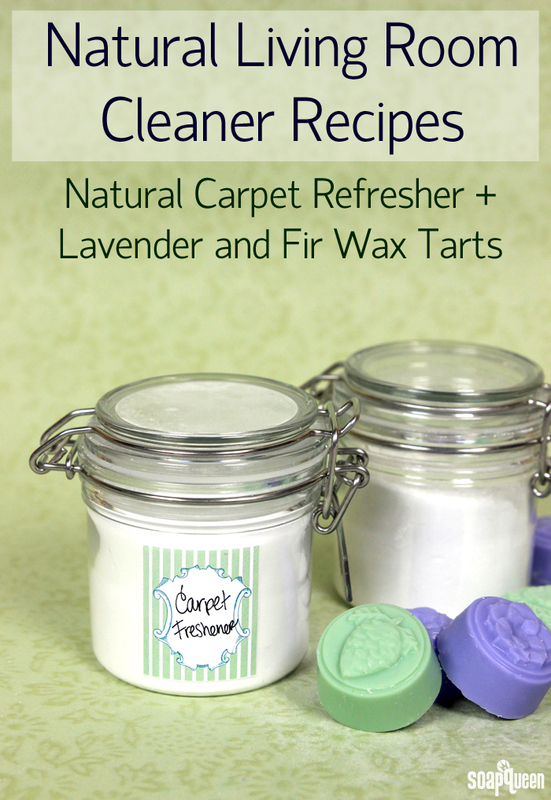 The Natural Carpet Refresher is made with baking soda and cornstarch, which absorb odors. The recipe also contains washing soda, which can help get rid of carpet stains. A mixture of lavender 40/42 essential oil and lemon essential oil add a relaxing citrus scent. 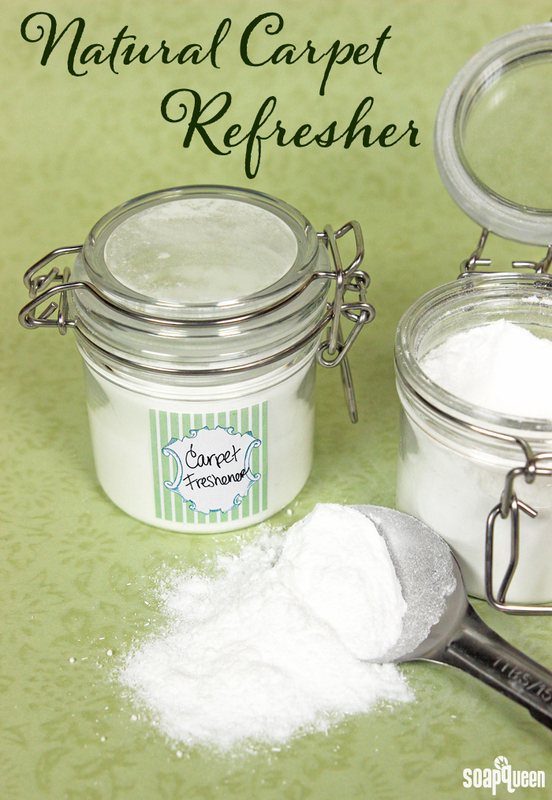 To use, lightly sprinkle the powder on a carpet or rug, let sit for 5-10 minutes, vacuum and enjoy the pleasant aroma! Like any cleaning product, make sure to keep it away from children and pets. You don’t want anybody walking on the rug or carpet after the product has been sprinkled on. Make sure to vacuum the powder up thoroughly – in our tests we went over the carpet twice to be extra careful. In addition, you should test a small area of your rug or carpet with the powder before covering the entire surface. The amount of essential oil in this recipe is quite small, but you want to make sure it will not leave any oil marks on your floor before using. In addition, you can download and print these free Natural Cleaning Labels to give your products a professional look. 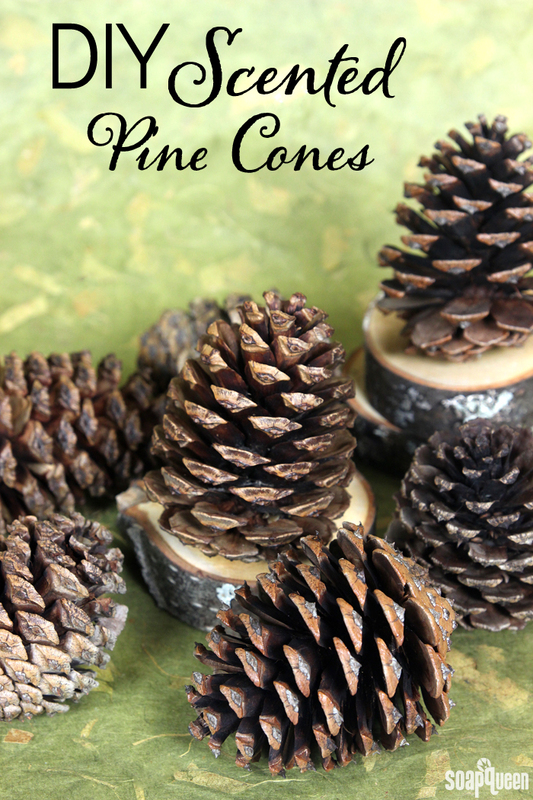 Homemade potpourri is such an easy and fun project. I love having sachets for my clothing drawers. They make my clothes smell fresh and clean. 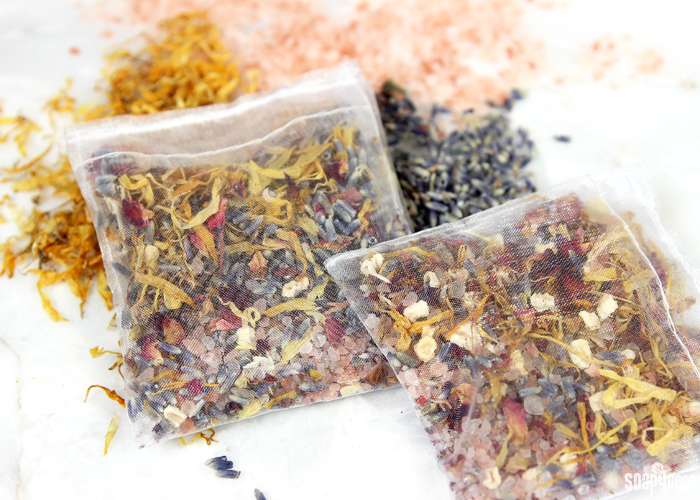 Making your own potpourri also means that you can customize your blend with any fragrance or essential oil you prefer. I love the classic scent of lavender. 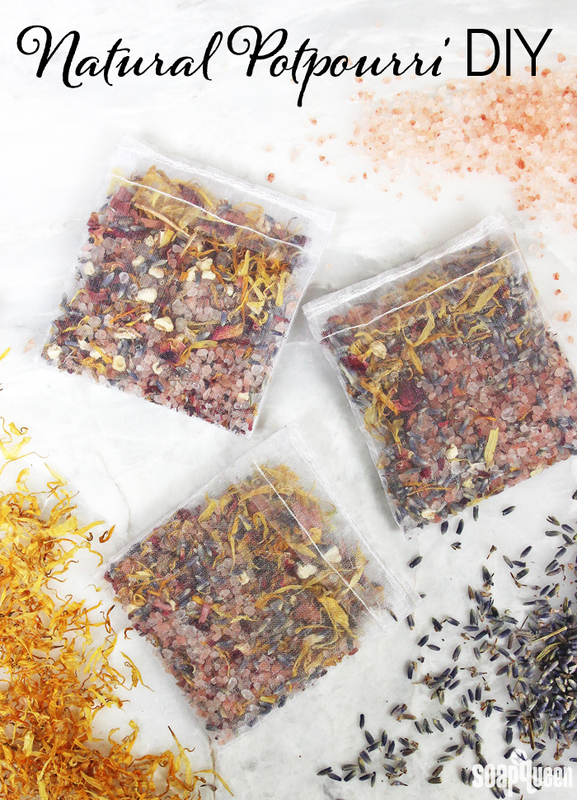 For these Potpourri Squares, I filled organza bags with a mixture of salts and botanicals scented with Lavender 40/42 Essential Oil. 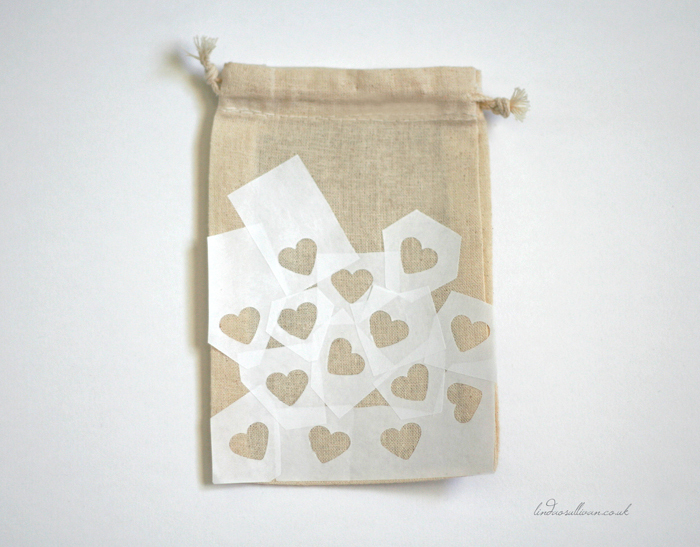 Then, I sewed the bags to create a cute square shape. This step is optional; you can always just pull the ties on the bags to seal them but I like the extra security sewing provides; no spills! This recipe makes about 6-10 bags, but it will vary based on how full the bags are and if you choose to seal them. 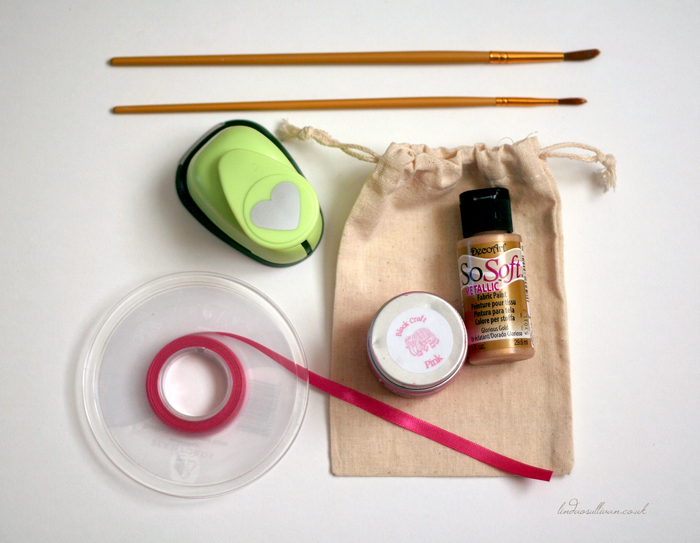 Making your own nail polish is a fun and easy DIY project. It’s also a really awesome party idea; last May I threw a nail polish party for a few of my friends and it was a blast. Check it out here. 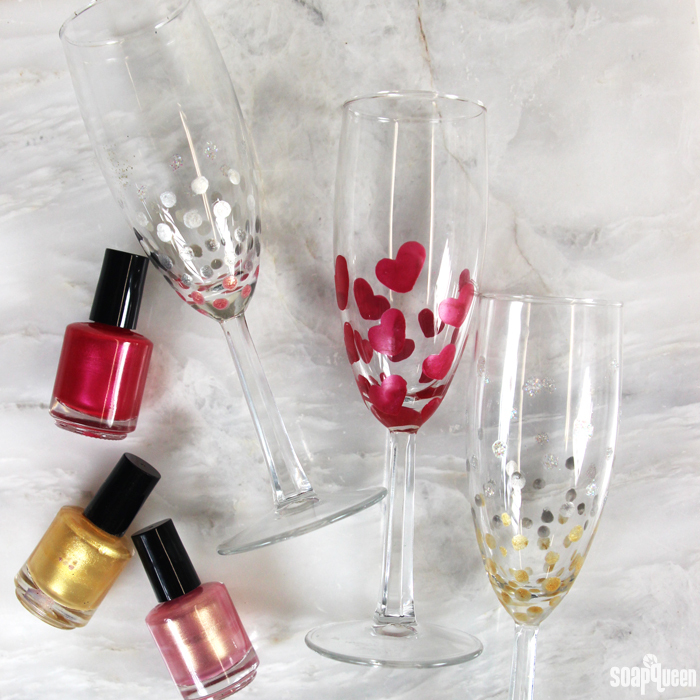 If you’re looking for another party activity, you can use your nail polish as paint! 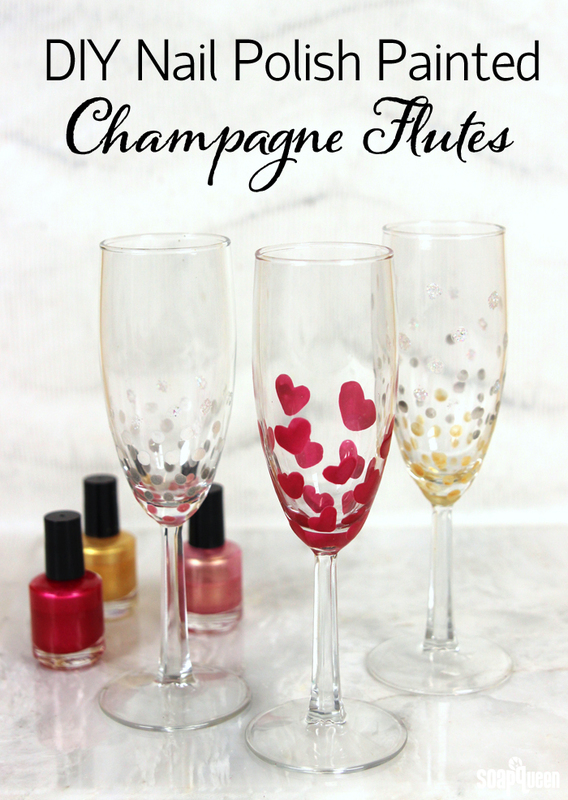 The Bramble Berry team and I recently created these painted champagne flutes for New Years and Valentine’s Day using homemade nail polish. It was a fun and super simple crafting session. This project can also be done with nail polish you already own. To make these glasses, I used Q-tips to apply the nail polish directly to the glasses. Once they are painted and dried, I recommend hand washing them. I wouldn’t recommend placing these glasses in the dishwasher. The heat from the dishwasher may cause the paint to come off. We didn’t use a sealing spray, but you can if you like. I also recommend keeping the nail polish and the sealant spray toward the bottom of the glasses if you plan to drink from them. If they are just for decoration, feel free to decorate to the brim! 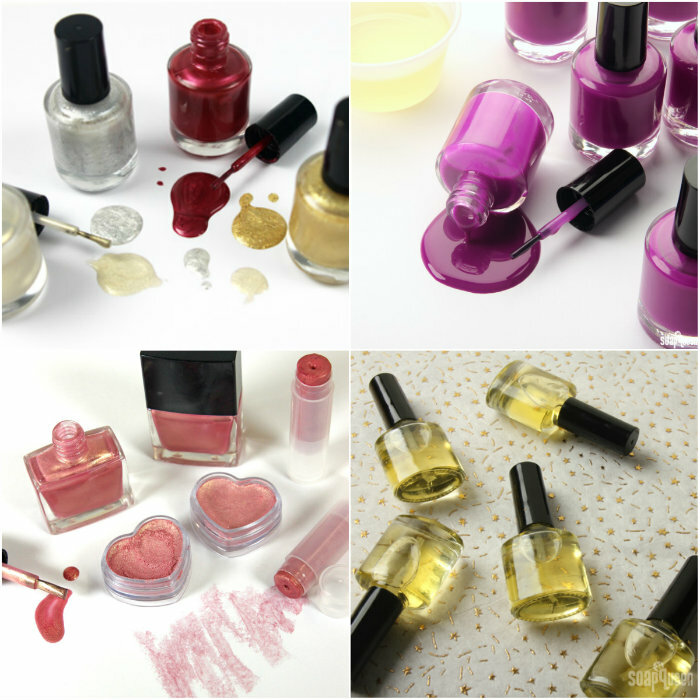 If you’ve never made nail polish before, it’s incredibly easy. Simply fill the bottle with the mica of your choice, then fill the bottle with Suspending Nail Polish Base. Shake until the colorant and nail polish base are completely mixed together. Then, it’s time to get painting! 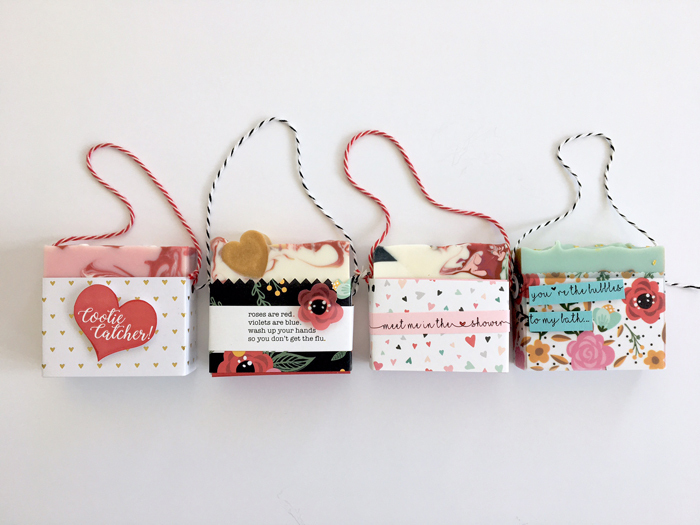 To see the process in action, check out this Soap Queen TV video. I love making and giving presents for Christmas. 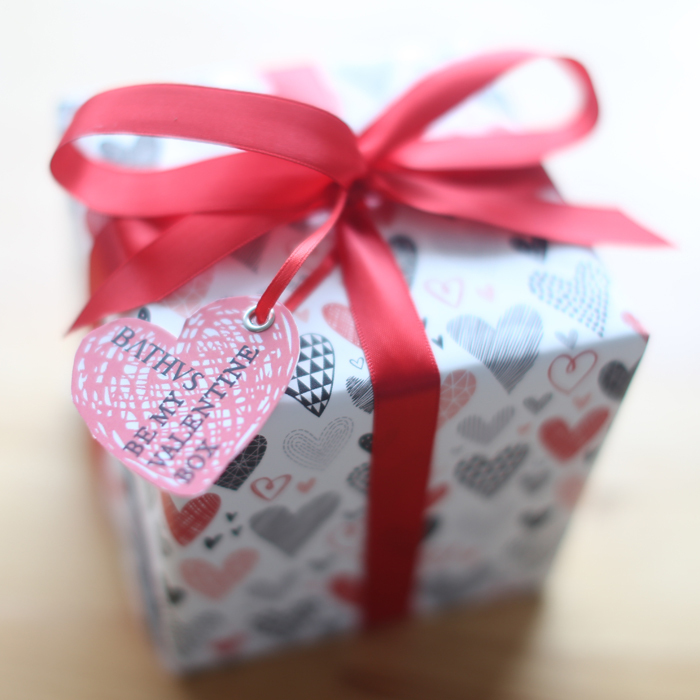 Sure it’s fun to receive gifts, but the feeling of giving loved ones a thoughtful gift is unsurpassed. Stockings are one of my favorite ways to spread holiday cheer. Picking out the small trinkets, candies and other goodies to fill the stockings is even more fun than opening them! I’m also a huge fan of stockings because many bath and beauty products are the perfect size. 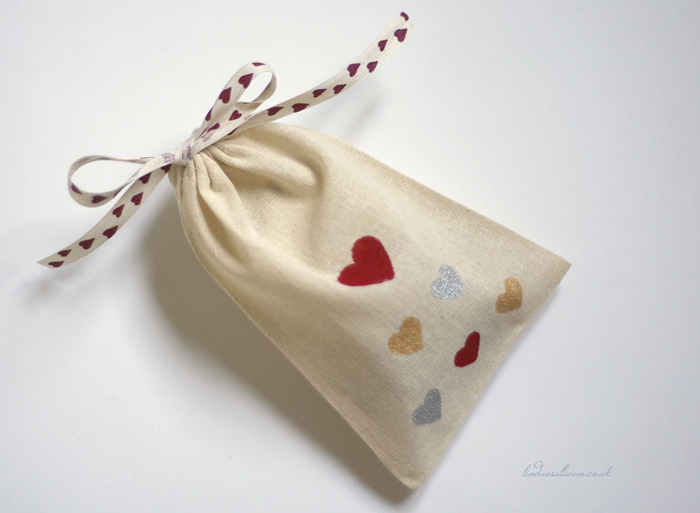 Small items such as lip balm, nail polish, eye shadow and guest soaps fit perfectly in even the smallest of stockings. 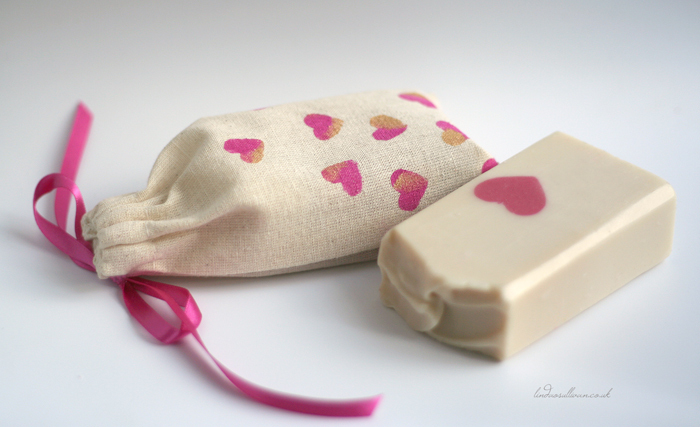 When properly wrapped, scrubs, bath bombs and lotion can also fit into stockings. If you’re looking for ways to upgrade stockings for your family, kids, and friends, I’ve got you covered. Stockings are incredibly easy to make! 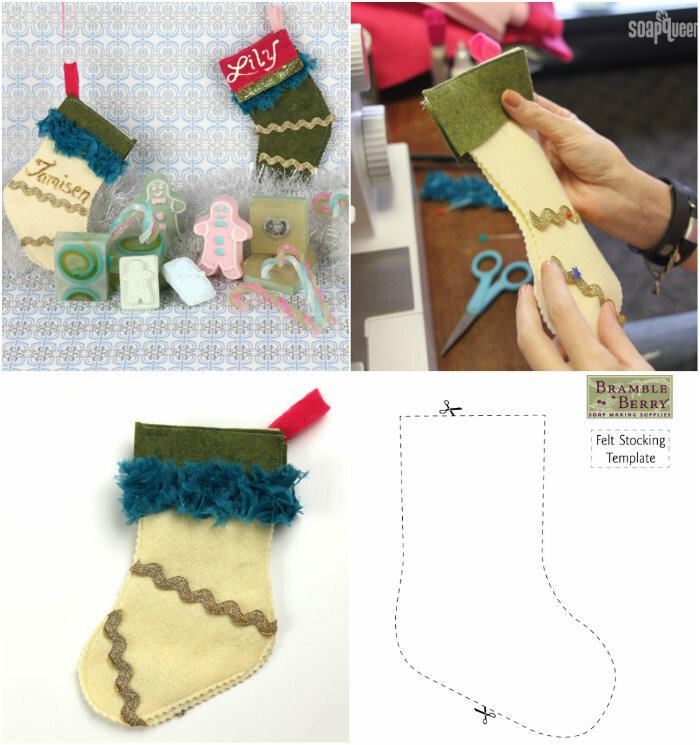 Click here to learn how, and get a free PDF stocking pattern here. 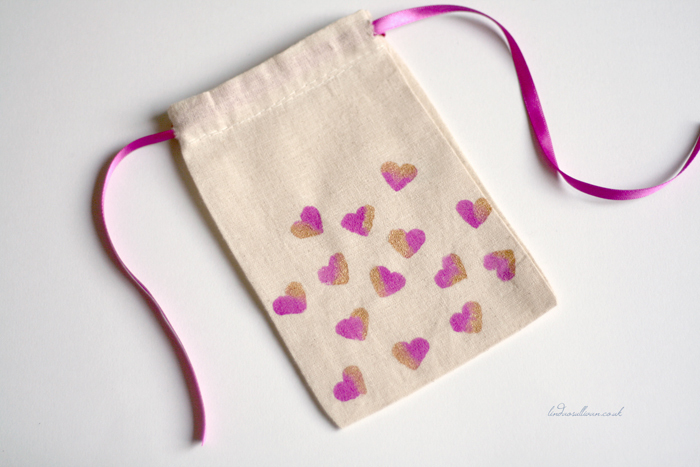 If you want to create your own stockings this year, they are easy to make. I’m not a master seamstress by any means, but even I could handle this cute stocking project. =) Click here to learn how to make unique stockings with felt fabric and get a free PDF stocking pattern here. Now that you’ve made your stocking, it’s time to fill it up! Stockings are great for all ages, but kids find them especially magical. If you’re looking to create some cute stocking stuffers for the kids, the Melt & Pour Bath Crayons make bath time really fun. 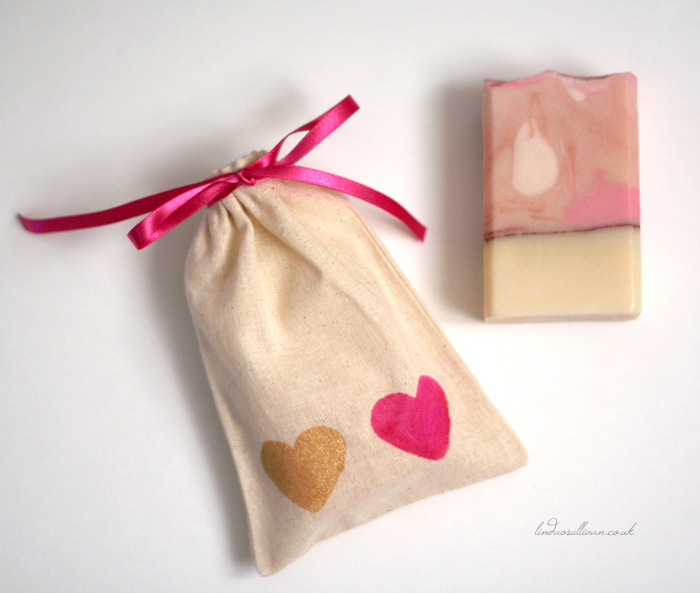 They are made with melt and pour soap and LabColors, and can be used to draw on the tub or shower. 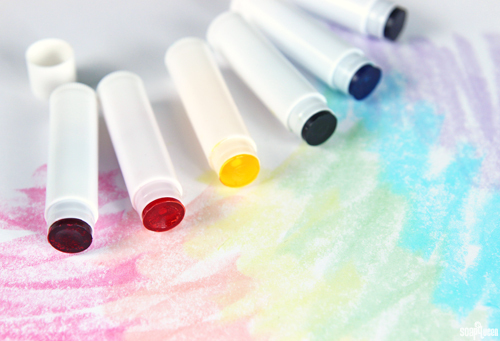 These Soapy Crayons are another fun spin on this project if you don’t happen to have lip balm tubes on hand. For more fun projects that kids will love to receive and make themselves, check out the Kid-Friendly Project Roundup post. 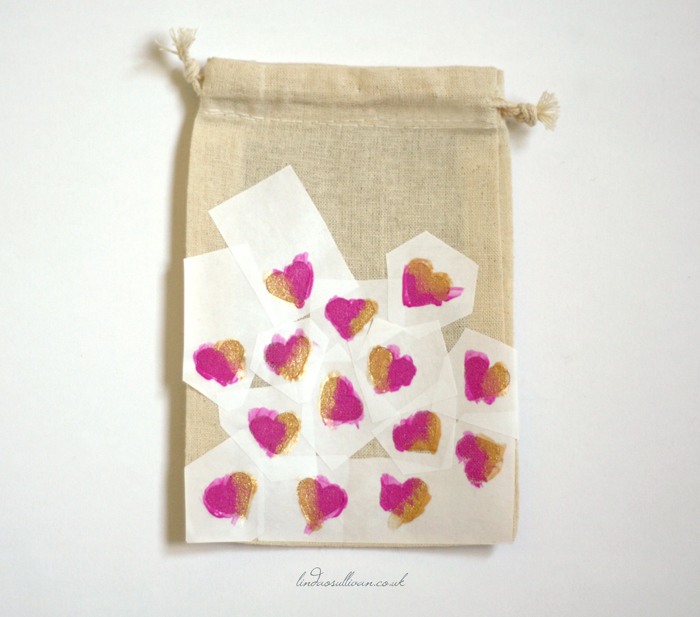 The Melt and Pour Bath Crayons are a fun stocking stuffer for the kiddos. They make baths and showers a perfect place to get creative! Most bars of soap will fit nicely into a stocking. 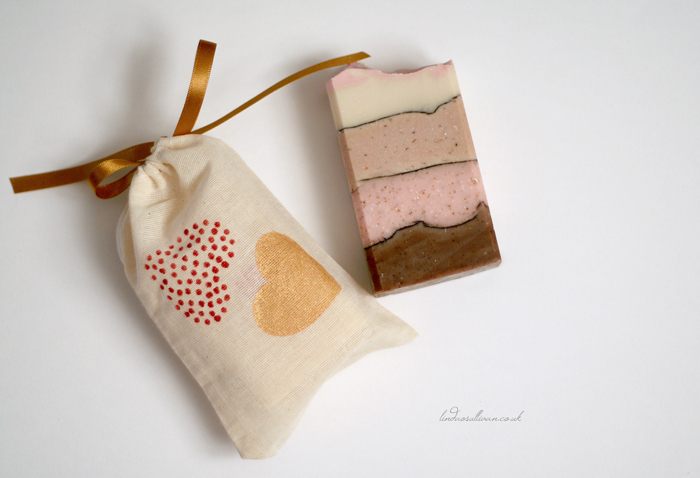 If you want to fill the stocking with several bars, guest soaps are the perfect size. 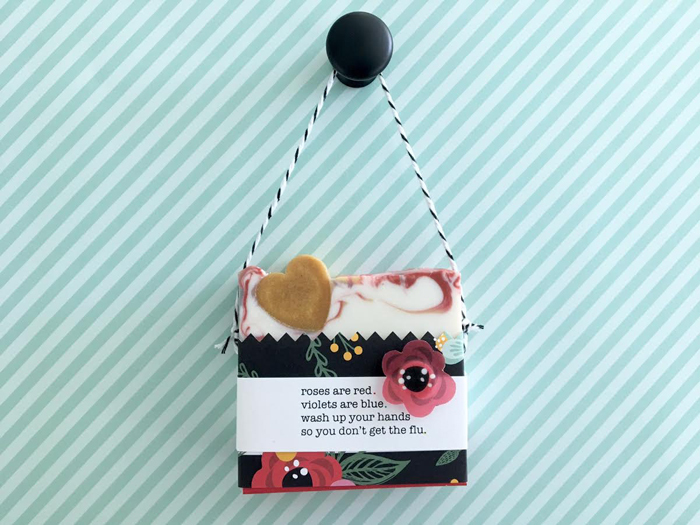 If you’re looking for a guest soap that’s holiday themed without being too “Christmas-y,” the Chocolate Mint Melt and Pour Squares look and smell like real chocolate candies. 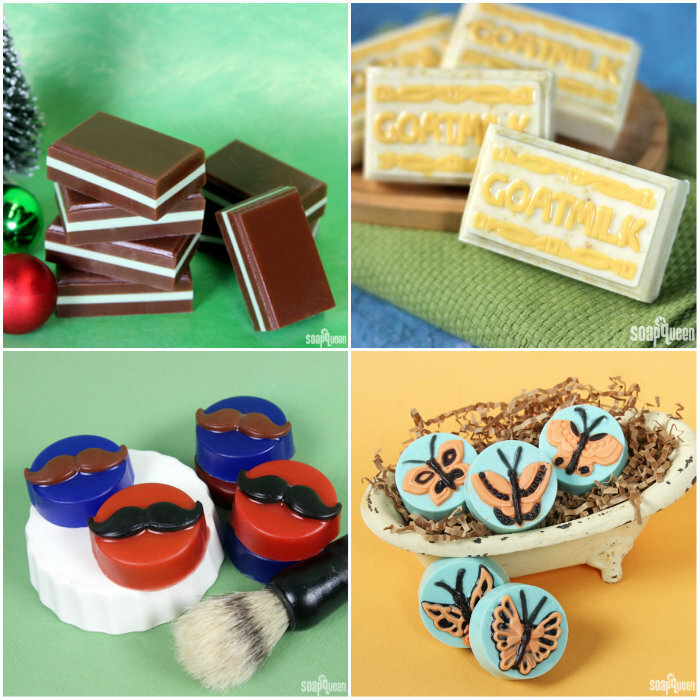 For the mustache-d men in your life, the Movember Mustache Melt and Pour is a fun way to celebrate facial hair. If you’re looking ahead to spring, both the Monarch Butterfly Melt and Pour and the Lemon Goat Milk Melt and Pour Bars are bright and cheerful. 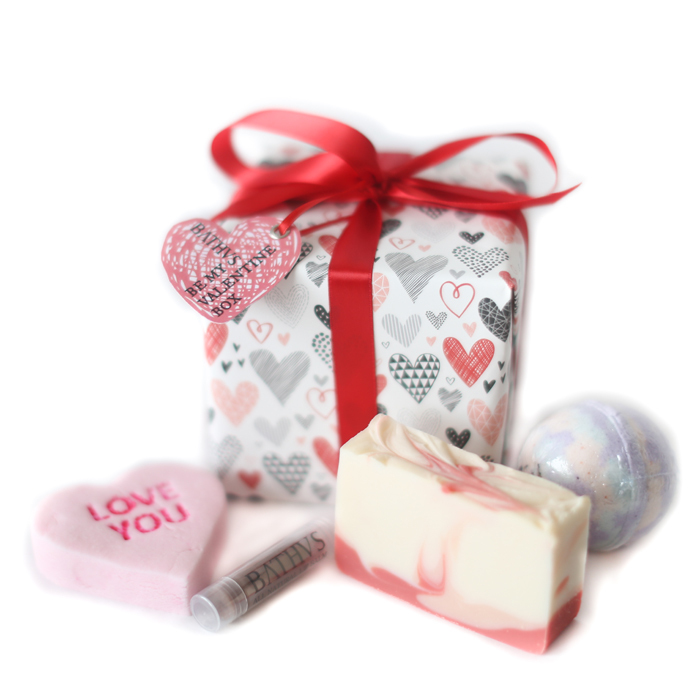 When packaged correctly, bath bombs are another great stocking stuffer option. They are a great way to pamper yourself! The Orange Creamsicle Bath Truffle is made in the Disk Mold and Package. 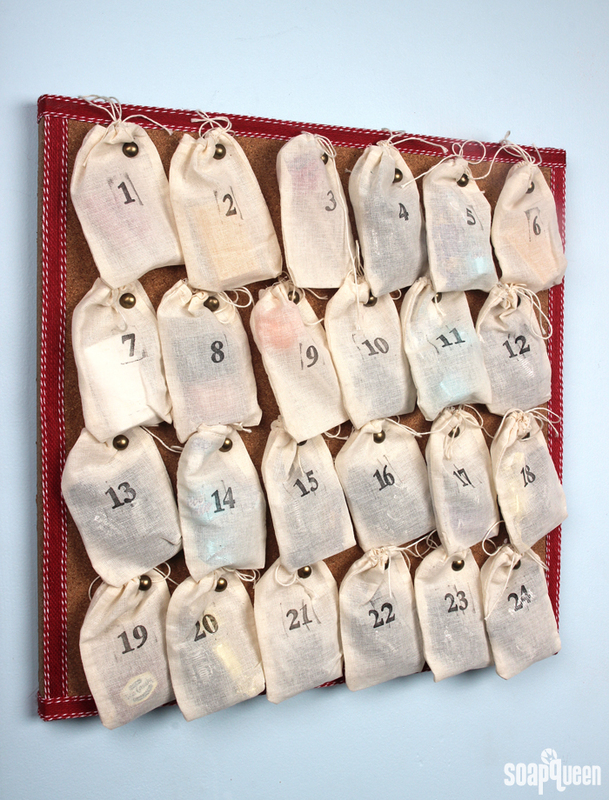 The package protects the fizzies, making it great for stockings. 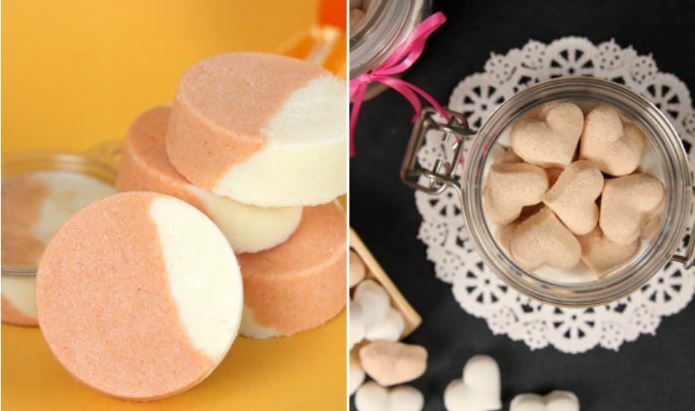 You could also place small bath fizzies in a jar or shiny cellophane bag before popping them into a stocking, like the Mini Heart Bath Bombs. Another small bath and beauty product that’s perfect for stockings are lip products. If the recipient is a makeup junkie, they will love the Radiant Red Lipsticks. The lipstick gives rich red colors on the lips. 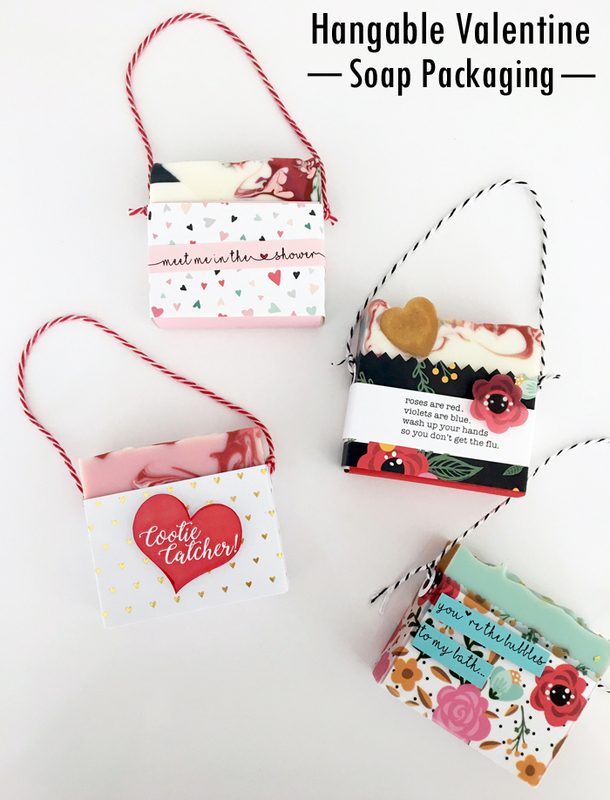 Learn how to create them in the Soap Queen TV video below! If you’re looking for lip products with a softer color, the Creamy Marsala Lip Tints and the Beautiful Bronze Lip Tint give sheer color. 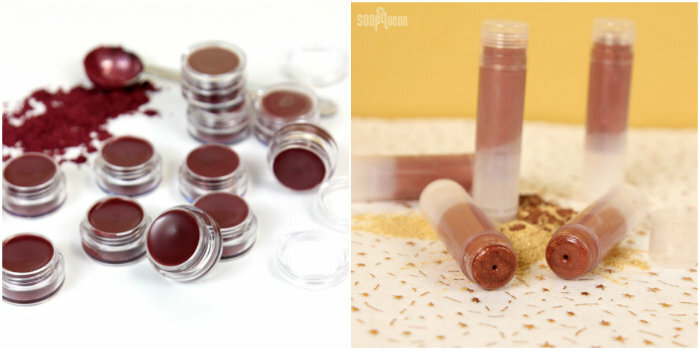 Both of these projects use the Nourish Lip Balm Base, with a small amount of other oils. 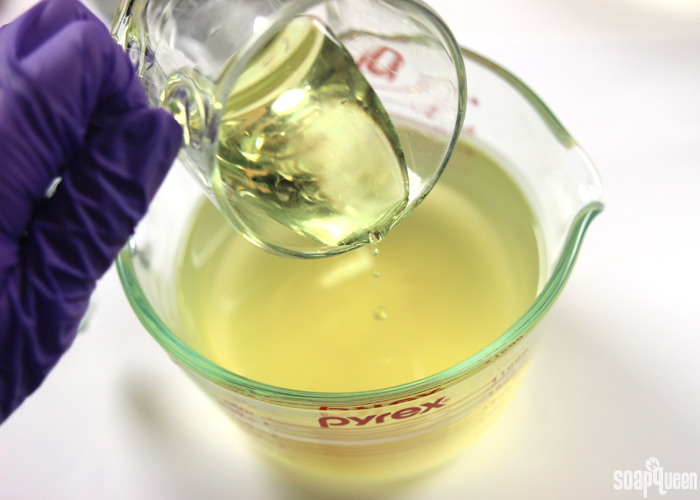 Adding oils or butters to the base is an easy way to create a customized and unique product. If you prefer to make lip products from scratch, the How to Create Lip Products post has lots of tips and tricks. 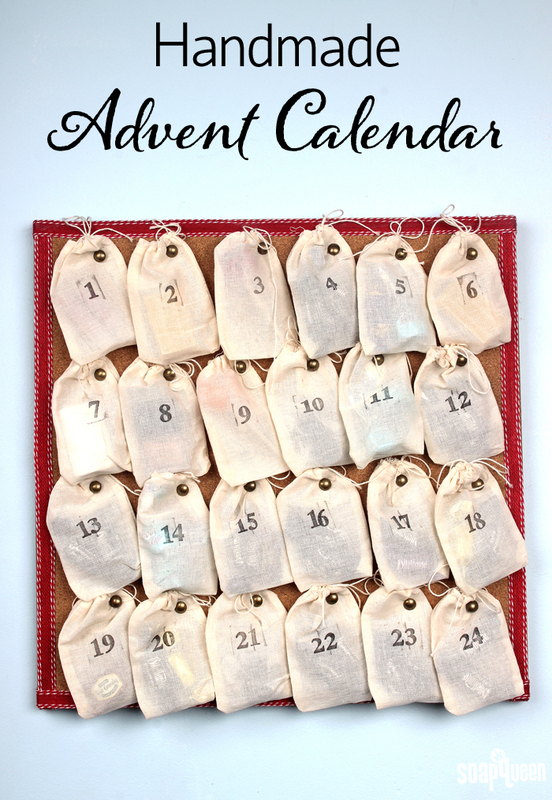 Speaking of beauty junkies, nail polish is another great stocking stuffer for those who love nail art. The Holiday Glam Nail Polish set includes four different nail polish shades that are perfect for the holidays and beyond. The Rose Gold Cosmetic Collection includes a gorgeous pink nail polish, in addition to eye shadow and lip shimmer. Looking to pamper your nails and cuticles? The Nourishing Nail Oil Recipe is made with nourishing oils to keep nails in tip-top shape. You can also add a small amount of oils directly to the polish base, as shown in the Nourishing Nail Polish Formula Tutorial. 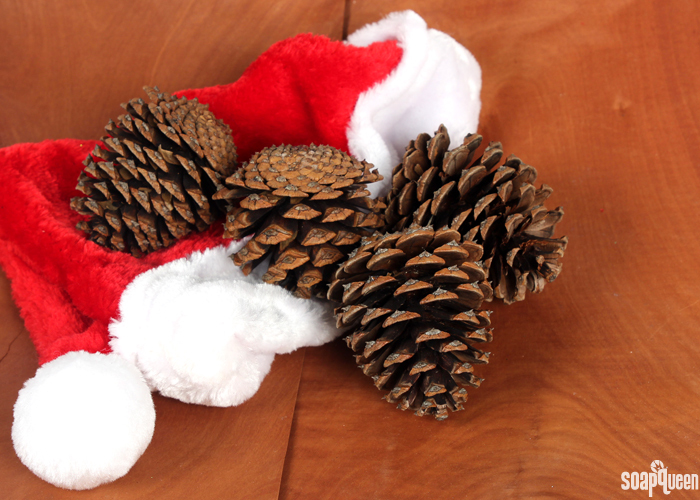 What are you filling your stockings with this year?